This presentation is a transcript of the talk at the HubSpot User Group (HUG) meeting in September by Clwyd Probert, CEO of Whitehat an Inbound Marketing Agency in London. You can download copies of all of the speaker presentations with this link. OK. I'm going to do a whistle stop tour of SEO. Ellie, I might actually borrow you to fire up my presentation because I'm not at all technical, right? Just to give you some history. My background is Whitehat SEO, SEO, right. We're from the world of SEO. I've been working in that sector for over ten years. Does my prospect actually need help? Do they actually want my help? And finally, can I help them? Keeping these three questions in mind, we'll keep you asking questions and learning about your prospect and in fact if they have true need as opposed to pitching to your prospects and telling them why you are so great, do more listening, do less talking. "You'll have better Sales calls and spend your time with better prospects who actually need your help". All right guys, thanks again for coming. Thanks to Clwyd and his team for organising today's event. We love Hugs here at HubSpot. It's a way for the community to connect and get better together. And again, we thank you for coming. Enjoy today's session. It's confusing. It's technical or it's perceived as being that. You don't know who to trust.There's a lot of spammers out there. There's a lot of people who really don't know what they're doing and shouldn't be doing it anyway. So if you look at my background and what I've just mentioned, I'm not going to be able to cover all that in ten minutes. So what I'm going to give you is a strategy. A strategy and some guidelines so that you can actually go off and do some of this stuff yourself. Again, just to finish on the credibility thing, we spoke about real estate and how you compete in a tough market. Well, there isn't much tougher market than competing with other marketers, right? 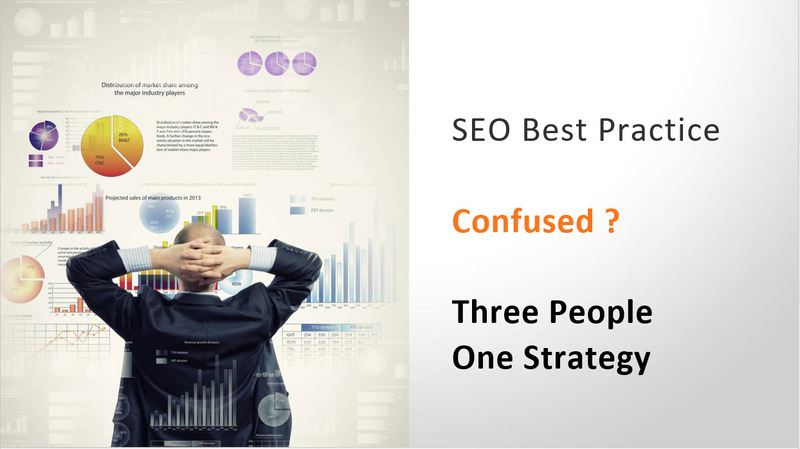 London is full of marketing agencies, they all have SEO experts. These guys are good. So how do you rise above all the other marketers? So if you've go to Google and type in "inbound marketing agency in London", you can see you're competing with everybody else in this space. You'll find out that Whitehat is number one for that, not just on the first page. "We are number one. So how do we do that?" Let me talk you through. So firstly you've got to learn from the industry and from gurus. You saw this guy's face earlier on and Whiteboard Friday's is the hint. Does anybody know his name? Good. Excellent, excellent. Rand Fishkin, the Wizard of Moz - it's actually a job title. If there's anybody out there who's a guru of gurus, it's Rand. He knows more about this subject than I ever will or anybody else ever will. He's data-driven. He's analytics driven. Is the founder of Moz. Interestingly enough, I didn't realise he was also the founder of inbound.org along with one of the HubSpot team. So google him, follow him, read what he says, and if he says do something and then just do it, because you don't really need me to tell you that. But he's more, like I say, more of a guru. Very well done, Neil Patel. If you actually want some practical guidelines on what to do, go to neilpatel.com or quicksprout.com, which is his commercial site. It is well researched. It is detailed, it is massively useful. It is multi lingual. Everything he does goes out and at least 6 languages, it might be up to eight. He stated goal in terms of where he wants to be regarding rankings and everything else is to outperform HubSpot. Now, many of you know HubSpot, right? You know how much content they produce, you know, what they teams and everything else and what they've got involved. He's not far away now. He's probably around the sixth in terms of volume. In terms of what he gets to his sites compared to HubSpot and he is catching up on them. So go to his blog, subscribe to it, listen to what he says. There's loads of really, really useful stuff. But it's a volume play. People say you need to blog twice a week. Twice a day. Stop what you're doing. Blog, right? I'm Neil Patel is probably the embodiment of that, but it has to be high quality. Final one. Slightly more difficult than the others. Karen, do you know this guy? Backlinko, Brian Dean. Brian Dean created the skyscraper article. He wrote the original book, if you like. If you Google "skyscraper article" you will find Brian Dean. He is different from the other two. Again, a commercial SEO guide, very good, very high quality, but his approach is slightly different and it's something that you can actually apply yourselves. If you look at his site and you count the number of blog posts that he has written, it ranks for some incredibly difficult terms. Interestingly enough, the one of the ones he talks about his Whitehat SEO, which just got my head spinning. "He's only written about thirty articles, 30 blog posts on his whole site and it's been going for years". What he does, is he writes incredibly authoritative articles on a skyscraper model. If anybody hasn't actually figured out what a skyscraper is, it's tall and thin, right? It's toll and thin. It's a long article. So we're talking minimum 3,500 words. Minimum. It needs to be well illustrated. It needs to be well researched, it needs to be cross referenced to authority. Karen mentioned this before and this is what I actually want to talk about. Google 'Skyscraper'. Read that article and do it, because it will actually help you massively a couple of things to pick up from that. It actually plays into HubSpot and HubSpot's Methodology and how they talk. HubSpot talk about personas and every time they mentioned personas or anybody in the room mentioned personas, they talk about your ideal customer, right? It's an image of your ideal customer. What's, you know, John's problem that you can solve. What's Kevin's, you know goals in his business that you can solve. What is that person doing that you can help them with? And that's fine. It's all absolutely fine, but if you want to rank on Google, you need to do that, but you need to have a different, another persona in the mix. You need to have a influencer persona because if you write your skyscraper article and it's wonderful and it's great and everything else, what you need is links coming back to that article from other people's websites. How does Google really work? All right? That's how Google works. It ranks you based on the authority of what other people say about you and it measures that by the quality of links that are coming back well and good. If you write a fantastic article, hopefully people will share it and it'll get picked up, but you want links from other authority sites in your sector, in your industry. So let me take a simple example. I mean, I work in biotech and Pharma. If you were to write a wonderful article on this drug that you're about to take to market, you probably can't say much about it because legal regulations and everything else, but you're talking about the industry, you're talking about the issues and everything else and you've created it. And maybe your target might be a scientist within a lab who might be looking at this. "You want links from other authority sites in your sector, in your industry". It might be a healthcare professional. It might be somebody within a hospital with buying responsibilities. People want that, that article that it makes sense for them. Absolutely. Are they going to share it? Are they going to put it on their blogs and their website? Some of them, most of them probably won't. They'll consume it, so you need to write it for them. Absolutely, but think of it the other way around. If you were to write something about the industry that you're in and then you do outreach to the bloggers and the writers and the journalists and the commentators in that space and you actively go after them. And if you research them before you actually write the article, they will share it and they have authority and they can help you. So that's another persona to throw into your mix. This doesn't have to be everything that you write. It can be just one in 10 of the articles, the rescue and be normal persona stuff, but go after influencers and that will allow you to rank in a competitive marketplace and that's what Brian did with the skyscraper technique. He wrote this wonderful thing, but then he went out to all the commentators in the SEO world or the marketers and say: 'Look, I've written the definitive article on this', and they know everybody started writing about him. And then everybody who was looking for it actually found it because everybody else was writing about him. So think about. Think about that authority content. I can't emphasise this enough. There's no point writing 5 articles a week if nobody really wants to read those articles: research them, go after pain points, make sure that they are really high quality. 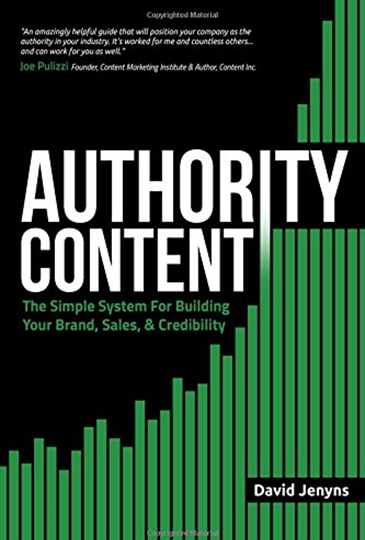 If you want a book on the subject, go to Amazon and look for Authority Content. Australian guy called David Jenyns. He wrote the book on the subject and he actually gives you a methodology for running an event like this, for taking content, for taking video and to turning it into something which you can actually use to rank. So keywords. We've mentioned keyword - I'm not going to get into metadata and keywords and everything else. But keyword research has changed. It used to be that you went after particular keywords and long tail keywords and all this kind of stuff. It's not the way it's done now. You need to think about topics. And the way I think about this is that the algorithms that are backing up all of this - Google... pretty much just Google - are becoming more intelligent. They're becoming more human, they're becoming more like a human, in what they understand and what they read. "So don't write for the search engines. Write for people". And if you write enough and it's seen as quality, then it will get picked up. You create blog posts tailored around long term keywords. People go to those posts. You send them onto landing pages. You convert them and get them in the Funnel. And that works for about 80% in a medium level of competitive market. If you want to go after really tough market, you've got to change that around and you've got to go through an authoritative model and that involves building around a core topic. "You've got to build something which stands out in your industry". You've got to research it, you've got to write it, you've got to get it illustrated, it's got to be something special, and then you can write the blog posts (around the subheadings, around that topic) and you promote them in the same way, but that core article is something that you can actually go to a journalist, go to somebody, go to an influencer and say, look, we've written it. Instead of writing content to cover every keyword, write one piece that covers a topic comprehensively. This is what the industry standard was before we've written a book. It's hard. None of this is easy, you can't push a button and hire a whole load of outsources and expect it to work overnight. Right? You have to work hard, because there's great gains to be held if you do it and that's how you do it. That core topic probably shouldn't sit as a blog post, it should sit on your main core site. Yeah, and it should be referenced constantly by new blog posts, new articles and new references. If you want to get technical on it, they should cross link. "All of those blog posts are pointing to that core topic. The topic should also referenced back to the blog posts, so you end up with this network thing going on the site". So that's all I've actually wanted to talk about today. Hopefully you can do some research, you can do some thinking and hopefully today has been valuable. And before we actually wind up, is there any SEO type questions that anybody wants to throw at me? Go on. I've asked questions from everybody else. That's a really good question. I didn't set you up for that. Do they know? We'll gated content. So the idea of gated content is HubSpot. Inbound methodology teaches you to create wonderful content, but put it behind the landing page, right? So you end up with a give / get scenario: 'You can have this wonderful thing if you give me your email address, you can have this other wonderful thing if you come back and now you're going to give me your job title', and then you can segment your market place. That was the whole inbound methodology up to now and it works. Authority content on the previous slide is not gated. It is completely open. It has to be open because otherwise Google can't see it. So now what do you do with your authority content? You've written this eBook and people are seeing this thing, but they're not giving you your email address. So how do you get them into the Funnel? There is an answer to this hopefully you're waiting to hear. What we found, and we've done a lot of experimentation around this, is that you can take that eBook, you can take that thing that you've spent all your time researching. That's still sitting behind a gate. You can publish it again, either as an authority piece or as a blog post. So you've got 2 forms of the same content and inside the public version you just have some calls to action that says quite simply: if you like this, if you think it's valuable, you can hit this button, you can download it as a PDF to save later in spread among your colleagues. "We found that the conversion rate does not fall". Right? And all you need to do is to give me your email address, to get that. Here's the strange thing. People do that even though they can read it and it's publicly available, they will convert because they see the value in the thing, because they could read it and they want to put it on their desktop and keep it for later. They don't want to bookmark that page and go back and because they've forgotten it, right? They want the thing as a PDF. They wanted it as a PDF, but you can put calls to action all the way through it and we found that the conversion rates do not fall. In fact, in many cases they go up, because,it's all about trust. Everybody else out there is making a lot of noise. Why do I trust you? This website? I've never seen it before. I've stumbled across it. Why do I know? You tell me you treat your customers better than everybody else. Prove it to me. Well, here's the content I can see it is really good. So you're getting over that hurdle of trust. You're making it open, you're helping people, you're giving them the ability to share and they're much more comfortable then in sharing their information back so that get. Does that answer your question? Alright, fantastic. Anything else? Enough? This is the end of today. Hopefully you found it valuable. The next one is going to be, we put it on the diary for the 12th of December. We're not quite sure where it's going to be. We will send an email out to everybody inviting you. I do want some feedback. I'll send you an email form for you to fill in. Let me give you one request here. This was put together by Whitehat because we wanted to educate and teach. But this is a Community of HubSpot users. So you need to tell us what you want to hear. We can bring in experts, we can bring in other agencies, we can bring in people to talk, but without some feedback we don't know what to do. We'll just make stuff up. Right? Which is fine, but tell me if you also, if anybody here wants to talk, if they've got a story, if that's got something to share, that's absolutely fine. The only caveat to that is that you have to actually attend an event before you speak at another one in the future. So you can't just randomly bring one of your team along as they write talk. So you've gotta you've gotta you gotta be here, got to participate. And then I'm happy to open this up. I don't want this to be a Whitehat thing. I want this to be inclusive. So hopefully you've had a good time. Thank you so much. Note: You can download copies of all of the speaker presentations with this link.